Unless you live on a deserted island, life can be pretty hectic. From the moment you wake up until the moment you close your eyes to go to sleep, the responsibilities seem to be endless. Work is no different, as there are a variety of fast-paced industries that will keep you on the move all day long. Whether you work in medicine, food service, law, media, tech, or any number of other industries, you probably face nonstop activity and are required to be able to function efficiently and calmly no matter how hectic the world around you seems to get. Although this kind of fast-paced environment might seem overwhelming at first, it has the ability to become an exhilarating place that you look forward to being a part of each and every day. Here are some tips and tricks for battling what might often resemble a circus. As a small business owner or an aspiring entrepreneur, you likely already believe that you have a great idea (or a few great ideas). Some people might think that your ideas are so great, in fact, that they want to copy them, essentially stealing your ideas and claiming them as their own. So how do you prevent this from happening? After coming up with your genius idea, one of the most important steps that follow should involve protecting your work. Obtaining a copyright is one smart way of completing this task. According to the U.S. Copyright Office,"A copyright (©) protects original works of both unpublished and published products that must fall into one of eight categories: architectural works, audiovisual works, choreographic works, dramatic works, graphic, pictorial and sculptural works, literary works, musical works, and pantomimes." Luckily, these categories can all be interpreted in a fairly broad manner. For instance, a child's swing or slide can be considered architectural works, and a map can be considered a graphic, pictorial, and sculptural work. On the other hand, there are several materials that are not eligible for copyright protection, including names, titles, slogans, ingredients, and phone numbers. The Copyright Act of 1976 provided additional clarification to copyright protection, as it provided copyright owners with the ability to display, perform, and/or sell their copyrighted work in public; prepare related products based on their own original copyrighted work; and reproduce their copyrighted work. However, be sure to note that while copyrights do not protect ideas, facts, operational methods, or systems, they do serve to protect the way in which these items are communicated. In essence, obtaining a copyright protects the production, publication, and/or sale of the rights to a work or computer program and controls the commercial printing and/or labeling of these items. Securing protection with copyrights is fairly simple, which makes it quite easy for entrepreneurs to protect their work. You are eligible for copyright protection the very second that your work has been created in a "tangible form of expression" (i.e., you have a physical copy of it either on paper, CD, video, DVD, etc.). This basically means that your copyright is secure as soon as you have written your novel; transcribed your music through a recording or via sheet music; or when you have finished painting your artwork. Once you have done this, your work will have copyright protection for the rest of your life, plus an additional 50 years after your death. On occasion, it can be quite confusing when it comes to determining the owner of a product's copyright protection. If there was only one person involved in the creation of the product, then he or she is able to rightfully claim ownership of the copyright. However, if the product was created with a team of people, then each person involved will become part owner of the copyright. This "co-ownership" means that each owner has a right to the product, and all of the owners would need to agree to sell his or her individual rights in order for a single person to have sole ownership of the copyrighted work. Because of this, it is always a good idea to draft an agreement prior to copyrighting any products in order to ascertain who will own it. If a number of people own the copyright, it will extend for everyone's lifetime, plus an additional 50 years after the last surviving person's death. You are not required to register your copyright with the U.S. Copyright Office, but doing so will be highly beneficial. 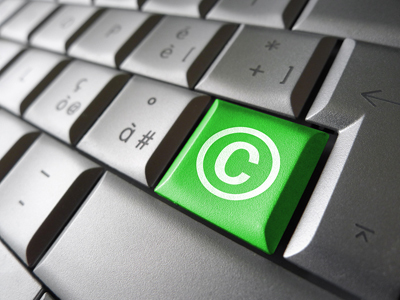 By formally registering your copyright, you are essentially establishing a public record of your copyrighted product. This will be very useful in the event someone tries to interfere with your copyright in the future. Furthermore, a registered copyright will allow you to claim not only actual damages, but attorneys' fees and statutory damages as well. Bottom Line: Protecting your work is essential in ensuring that your ideas will be safe from any future theft.